Gilan Israel of Vancouver, B.C. 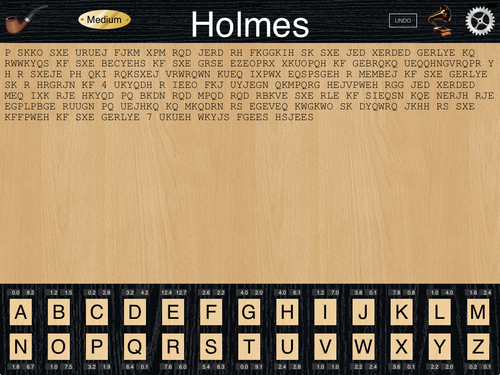 Holmes Cryptic Cipher is a puzzle game where you swap letters to decipher quotations from The Adventures of Sherlock Holmes by Sir Arthur Conan Doyle. Gilan Israel got the idea for a cryptogram game based on the text of Sherlock Holmes way back in 2005. He built a browser-based prototype and promptly forgot about it. Ten years later, he showed a rebuilt prototype to his neighbour Bill Burdick when they attended the local version of the Global Game Jam. Bill mentioned that it wouldn't be too hard to turn it into a mobile game, using Apache Cordova. 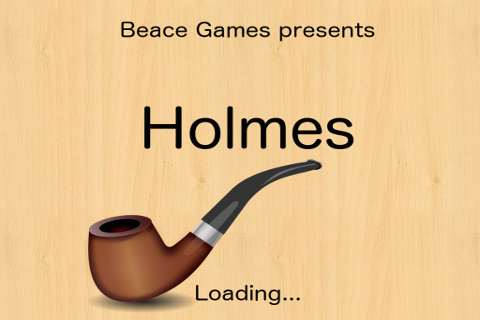 Although they didn't work on Holmes at the Global Game Jam, they forged a working partnership. 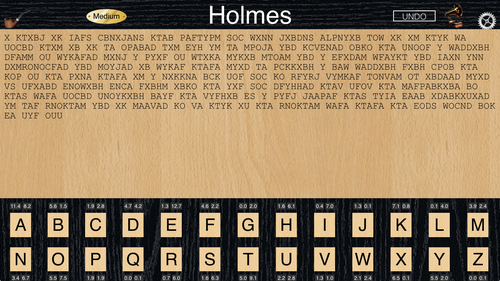 After a month of working evenings and weekends on top of their fulltime web programming jobs, Holmes was released on iOS and Android on March 8, 2015. 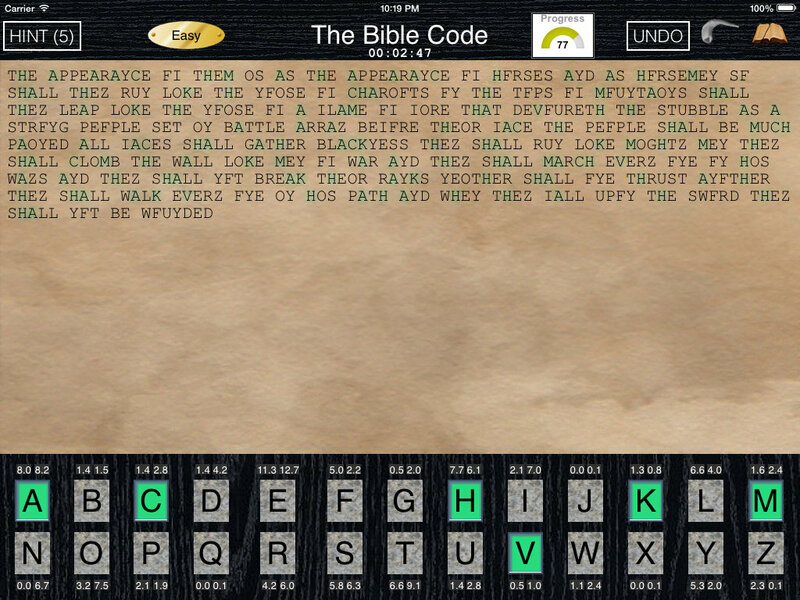 The Bible Code is a puzzle game where you swap letters to decipher quotations from The King James Version (KJV) of the Bible. 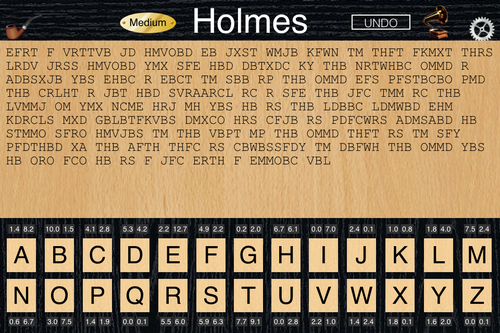 Gameplay is similar to Holmes with a few extra features. After Holmes was released on March 8, 2015, Gilan and Bill discussed extra features that could improve the replay value of the app. Skinning was also discussed, using different texts to appeal to different audiences. 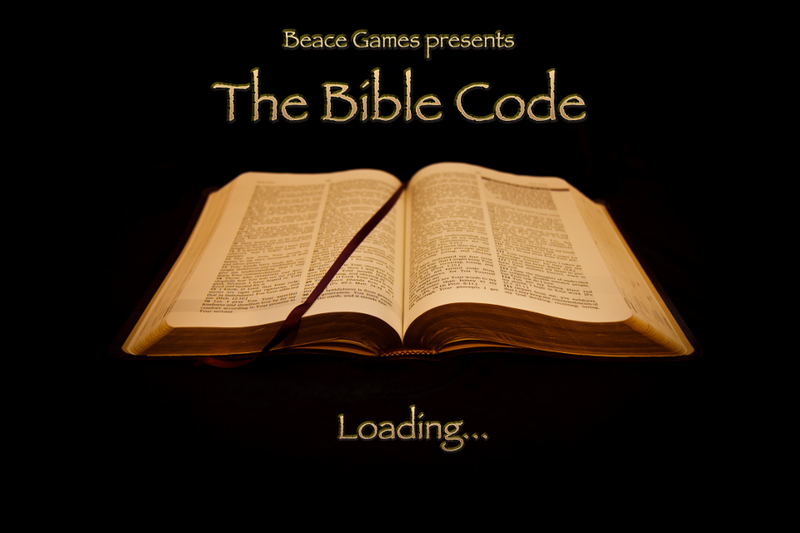 The Bible Code, based on one of the most popular books of all time, was a natural progression.